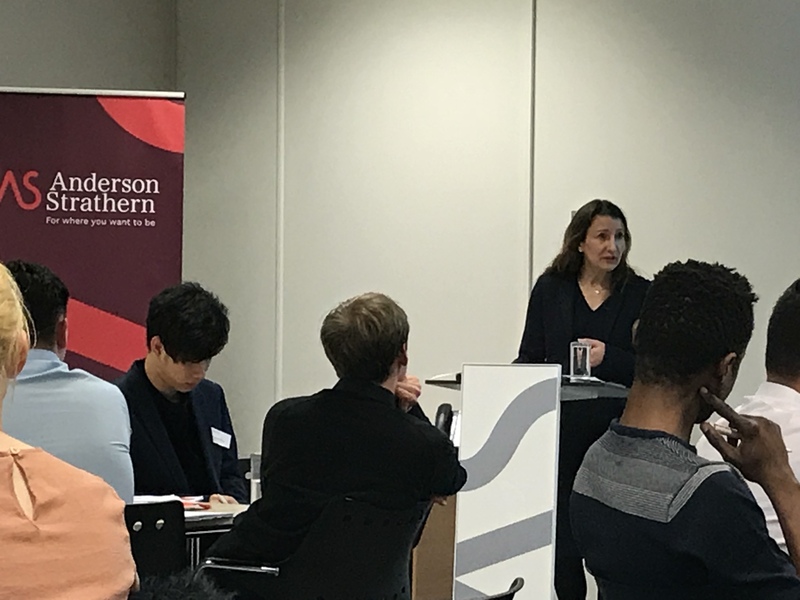 Mary Rudaleviciute attended the Anderson Strathern training held on the 21st May 2018. Here are her thoughts and thanks to Victoria, John and other Associates at the firm. 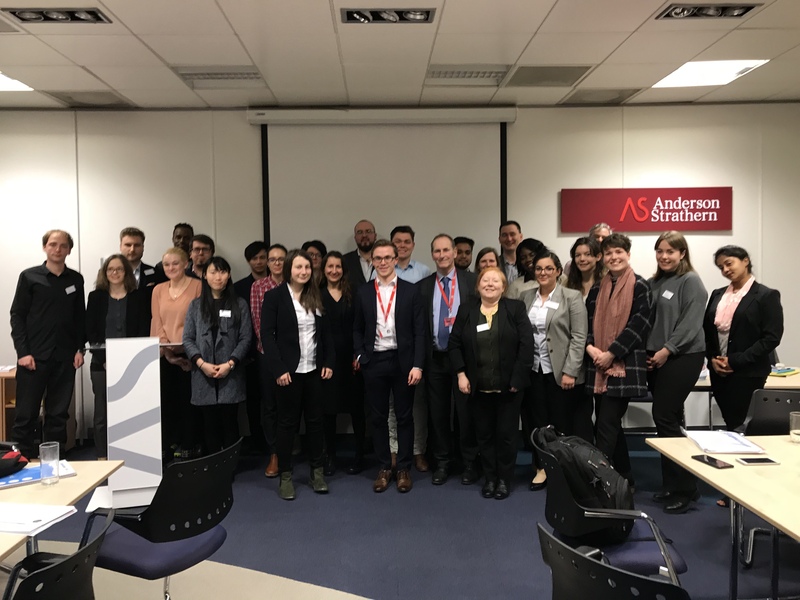 On Wednesday 21st March, I have had a great chance to attend the ‘Get On Board’ programme training provided by Anderson Strathern – a leading Scottish law firm. Two experts in the Charitable Sector field, namely Victoria Simpson and John Kerr, provided and facilitated the training. Current employees at the Anderson Strathern warmly greeted event attendees and made us feel welcomed. Meeting was focussed towards the legal aspects occurring in the boardroom and then the following presentation provided useful tips on joining a board. The first part of the session analysed legal aspects of Scottish law, which charities have to adhere and abide. In fact, it proved to be truly useful because if we have a look at the current affairs covered in media, it shows the importance of adhering to the legislation and what happens when it is being breached, however big or small a charity would be. 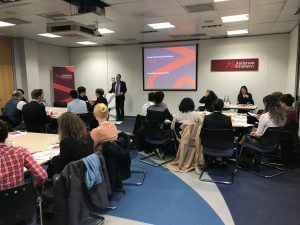 The second part of the training provided by John Kerr presented first-hand tips on how boardroom meetings are being run and what are the key aspects of preparing for them. The significance of not being afraid speak up and to question the decisions made were on of the key points. As well as that, the emphasis was put on the magnitude of due preparation for the boardroom meetings. 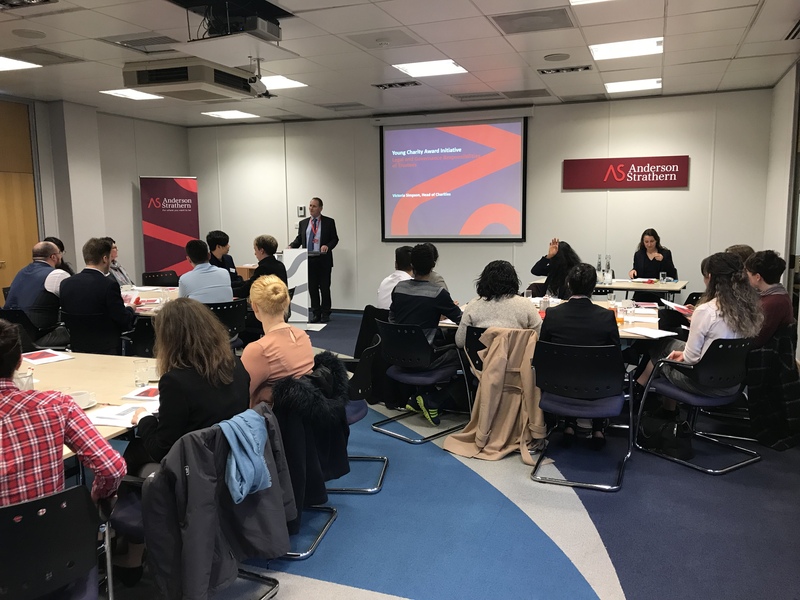 Personally, I have genuinely enjoyed the session and a possibility to discuss case study scenarios with Victoria, John and other staff members of Anderson Strathern. Their insights, critical and on real life experience based approach has pushed our group forward to ask profound questions of what it actually is to be a trustee of the charity; what mentality should a person possess. Meeting these incredibly knowledgeable and skilled professionals who are directly working with charities across Edinburgh and Glasgow has immensely increased my willingness of becoming a charity trustee myself as after this session I am more aware of the charity’s legislation and what is trustee’s role overall. Mary is a 2nd Year student at Edinburgh Napier University Business School, achieving her Bronze award recently and now working towards Silver. Part of her silver experience will be shadowing and undertaking governance responsibilities with the Edinburgh Festival Fringe Society.